 D&L Garage Doors in Salem offers garage door track repair, We are most reliable repair company in town, offering the most affordable deals available and providing service 24/7. 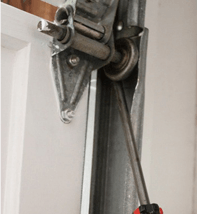 We offer a wide selection of replacement garage door tracks including but not limited to vertical and horizontal track lengths, horizontal angles, wall brackets, track clips, fasteners and more! D&L offers high quality garage door tracks and parts to keep your doors operating safely, smoothly and reliably. Choose from a large selection of garage door track systems (industry standard 2″ or 3″). If you need a complete new system or just repair parts, we can help with the proper products and services to meet your needs. Broken cable: When one attempts to close the door, the door will bend the track. Roller displacement: Results from a lack of lubrication on roller stems& leads to inflexibility & bending of the lower portion of horizontal track. Commercial accidents: often involving heavy equipment such as forklifts. Replacement becomes warranted with these types of accidents. Normal shifting of the foundation & construction materials over time. Until recently, all door manufacturers made their own tracks; now only a few do, including Wayne Dalton and Overhead.Some garage door tracks come galvanized for rust and corrosion protection. Older tracks usually used steel simply covered with paint. Vertical tracks most commonly measure six feet four inches to 14 feet and four inches. 3”: Heavier residential and industrial garage doors. Consists of vertical track (Usually 6’4”)and a curved section allowing the door to rise and move to a horizontal position. Consists of vertical track also but also includes additional vertical track angled away from the wall allowing space for a larger spring assembly. Consists of a vertical track, a horizontal track that is shorter than standard, and a high lift extension. Residential systems may require a high lift conversion kit. These kits have become popular recently.